How amazing do my lashes look after using my new Younique 3D Fiber Lashes?! I was so excited when my friend Courtney asked me to try it out. Lately I've been throwing around the idea of getting eyelash extensions again just to switch things up a bit. But as soon as I tried this stuff for the first time, I realized I won't even need to! This stuff is AMAAAAZE, you guys. My lashes just look so much longer and thicker and more voluptuous. ﻿I feel like the picture doesn't even do it justice! You can go get some of your own here. Trust me, you won't regret it. Thank you all for reading, have a wonderful Friday/weekend! 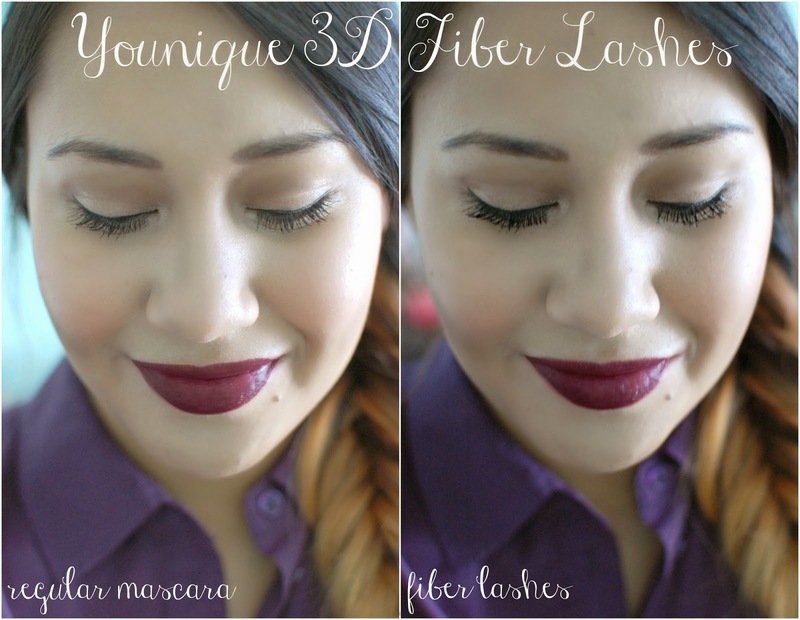 Your lashes look amazing! And your skin is freaking flawless girl.